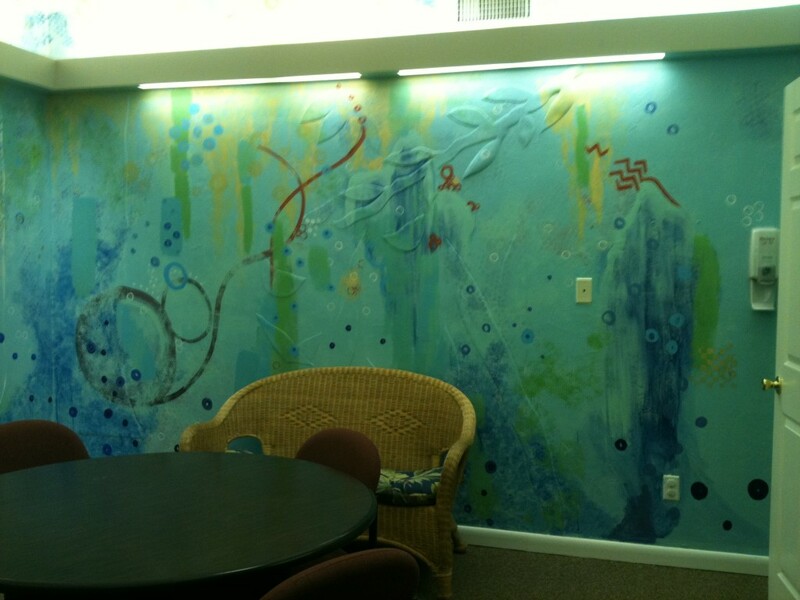 Students from both professor Carrie Ann Baade’s Traditional Materials and Techniques class and her Intermediate Painting class updated a room-sized mural for the Diabetes and Bariatric Center (a branch of Tallahassee Memorial Hospital) this past Veterans Day. 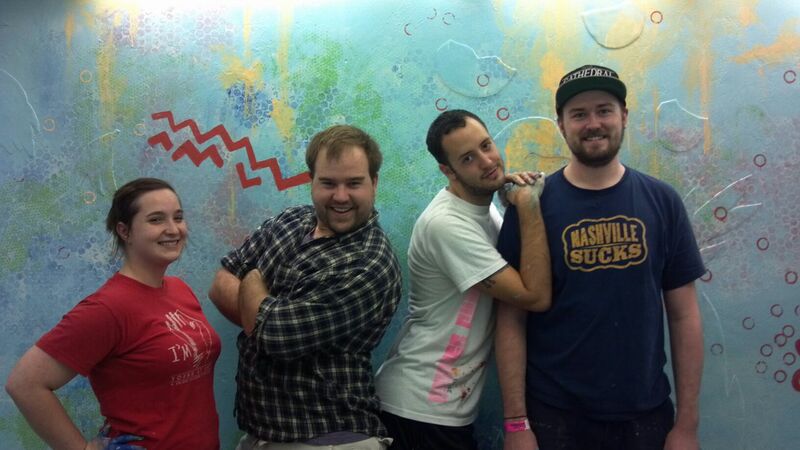 Emily Deacon, Morgan Hamilton, Alex Zastera, and Cosby Hayes (along with a little help from Baade!) planned and executed the design of this room, which serves the function of part hospital, conference room and playroom for young children. 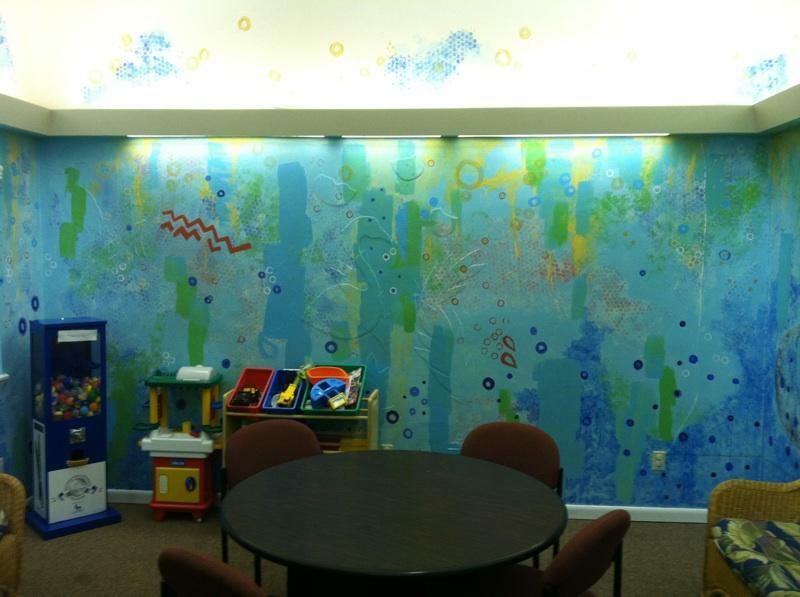 With an age-range usage of 4 year-old to adult, the mural needed to be accessible to a variety of individuals. 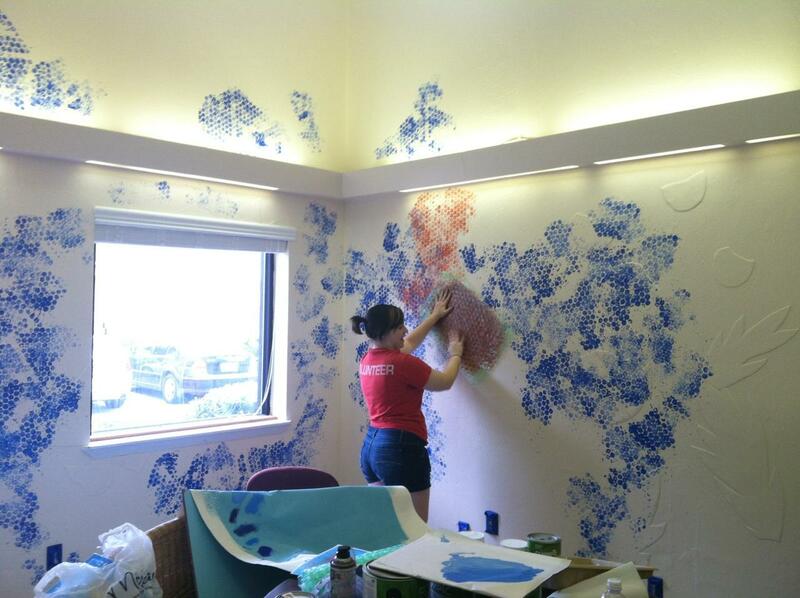 The goal was to provide a calming, yet engaging environment for both the patients and employees who utilize the room on a regular basis. What was once an outdated, zoo-themed narrative transformed into an abstracted, watery and bubbly atmosphere. The space feels more open and contemporary as a result of hard work, a little paint and some imagination.